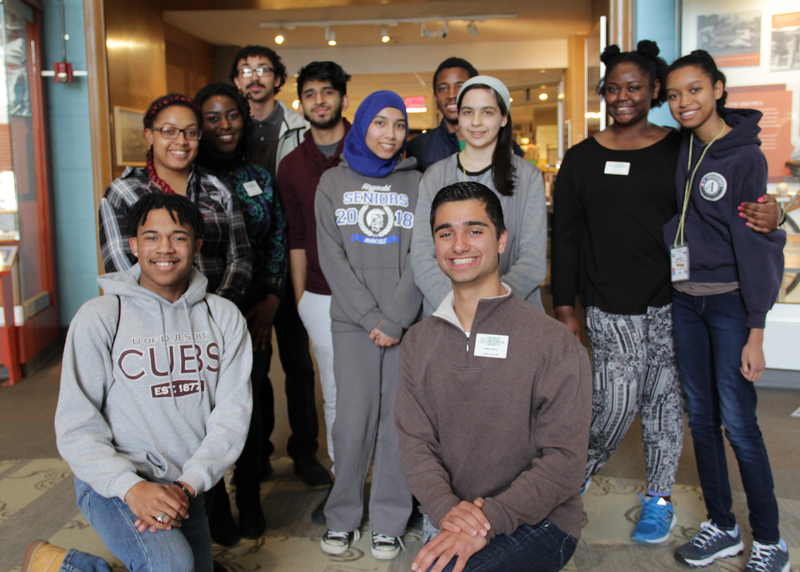 From April 2 to April 7, 2018, 11 talented Detroit-area high school students joined us at the Detroit Historical Museum for an intensive Spring Break immersion program, Detroit Design 2067. Working with four Detroit-serving community groups – Karasi Development Group, Detroit Police Department, Belle Isle Conservancy and the Walter P. Reuther Library of Labor and Urban Affairs at Wayne State University – students learned more about Detroit’s 1967 uprising and used design thinking concepts to address current social issues facing the city. After a week that included a facilitated tour of Detroit 67: Perspectives, a bus tour of historic sites in the city with Jamon Jordan, research at the Detroit Public Library and daily conversations with city leaders and influencers, the students used design theory to prototype and concept-test solutions to community challenges with their assigned community partners. On Saturday, April 7, students presented their final design concepts to an audience of family, friends and interested guests. Detroit Design 2067 was co-created by Detroit Historical Society community outreach and engagement staff and Chanel Beebe, who also served as lead instructor. Learn more and read a personal reflection about the week from Kalisha Davis, Detroit Historical Society Director of Community Outreach and Engagement. We anticipate that this program will become an annual offering, so stay tuned for updates about next year!